Are you ready for something sweet but still good for you? 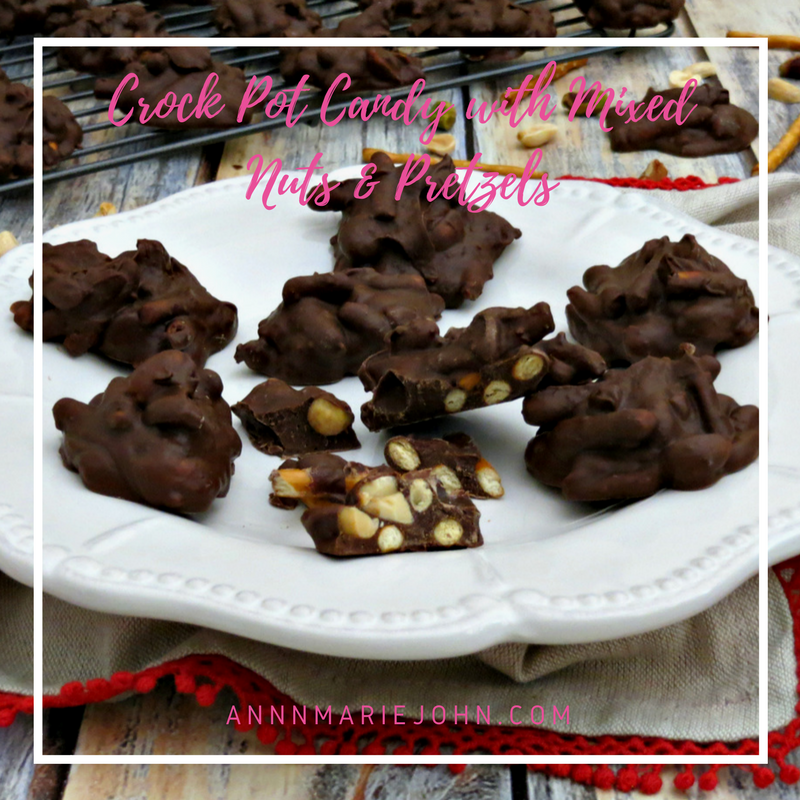 Our Crock Pot Candy with Mixed Nuts and Pretzels will be sure to hit the spot. 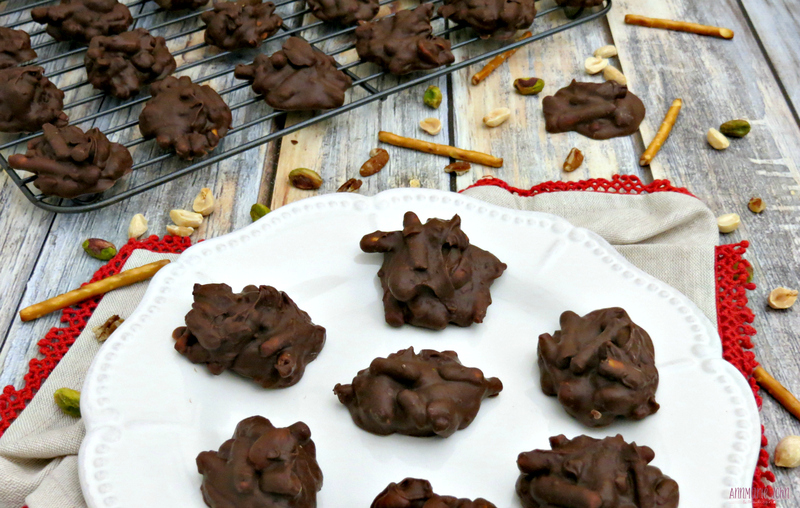 It's my first recipe for the year and I wanted to start it off with something sweet but not too sweet. My family are huge nut lovers and Madison is obsessed with pretzels. I buy the mini packets so that she can take them with her as snacks and I snack on them myself. While I can't eat peanuts, that doesn't mean that I don't have them in the house, after all the kids just seem to love them. I have a nut allergy but it only stems from ingestion so I can touch them, just not eat them. That's not the case with all allergy suffers, but that's the case with me. My body is weird, for example, I can't eat raw apples or most red fruits, but I can drink apple juice, not sure why, but that's just the way it is. However, with the holidays wrapped up, you may have some candy stash that you may not have eaten. 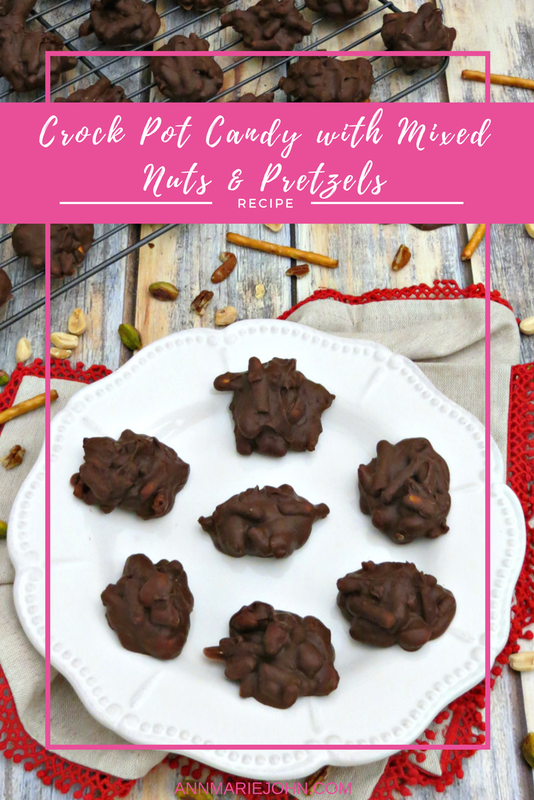 I'm truly not big on purchasing candy for my kids, I'm all about them eating as healthy as they can but every once in a while they get a sweet treat, however, making my own candy is a treat in its own and our Crock Pot Candy with Mixed Nuts and Pretzels is a winner. Line a large cookie sheet with wax paper, waxy side up. 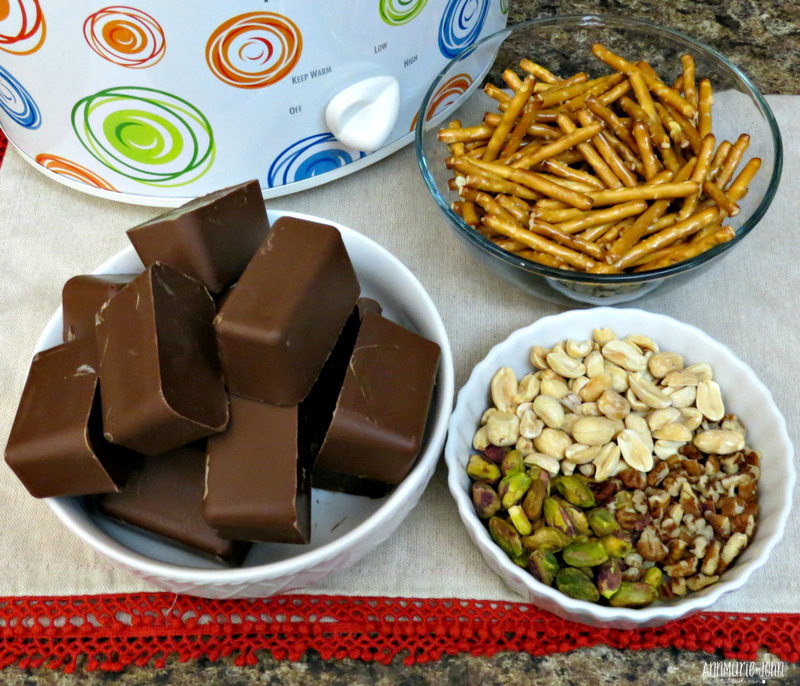 Add the pretzels, nuts and chocolate to a medium-size slow cooker, in that order. Cook on low for one hour without stirring. After one hour, stir to combine. Cook for another 30-60 minutes on low, or until the chocolate is thoroughly melted. Stir well and drop by tablespoons onto the prepared baking sheet. Place in the refrigerator until set, which took about 30 minutes for me. You can serve these at parties or even give as gifts, just wrap in cellophane bags and wrap with a nice bow. Enjoy!